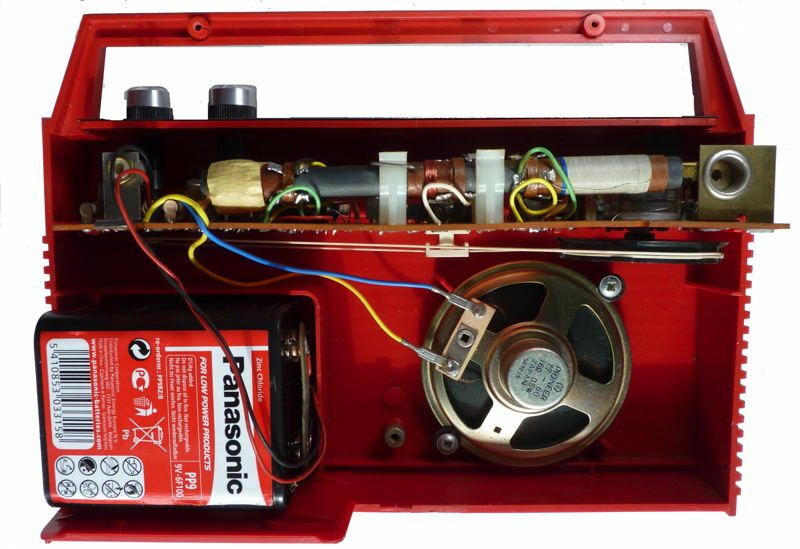 Fidelity RAD20 Portable six transistor radio housed in a red plastic case. 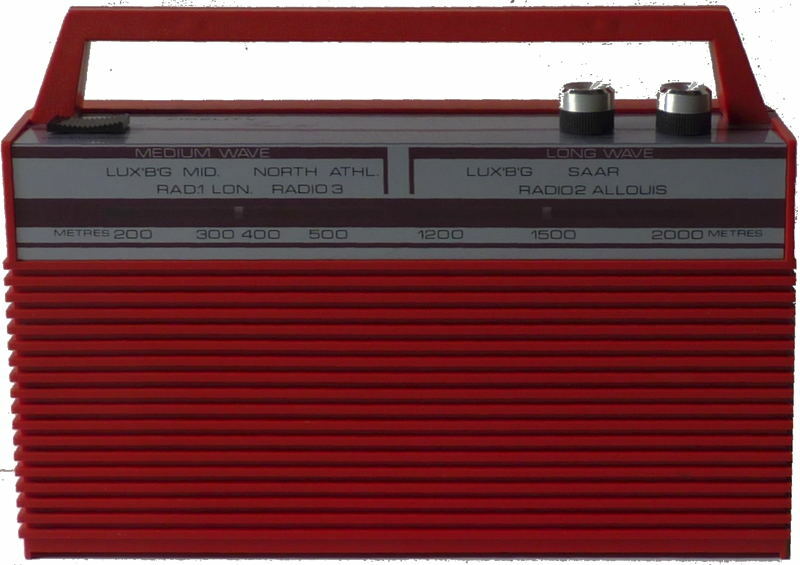 This lightweight radio is identical electronically to the earlier RAD12. It covers 188-555 metres on the medium waveband and 1200-2000 metres on the long waveband, selected by a slide switch. The tuning scale has two linked pointers, one for each waveband. Tape recorder and external aerial sockets are on the rear. The set is powered by a single 9Volt PP9 battery. The transistors are as follows BF194B, BF195C, BF195D, BF194, BC149, AC127, and AC128. This set working and was made by Fidelity Radio Ltd. London W11 England in about 1972. This was kindly donated by David Sands who was downsizing and getting rid of stuff he had hoarded for years. It seemed to work well on Long wave but was a bit quiet on Medium wave. There was a problem with the wave change switch which needed some switch cleaner and several switching operations to clean the contacts but the situation was not much better. The printed circuit board is the same as that used on the RAD12 for which I have a circuit diagram and servicing instructions. After realignment with a signal generator the medium waveband stations came through loud and clear.